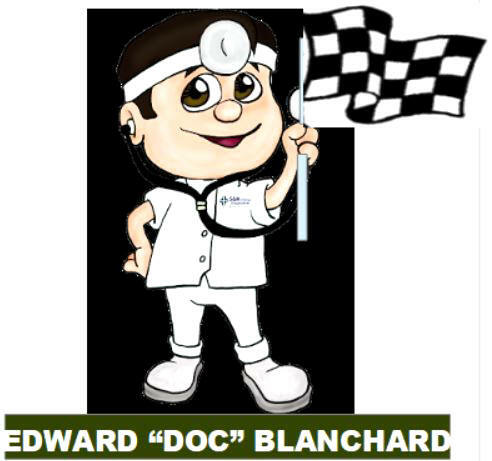 Like so many other young men at the time he was growing up, Edward Blanchard was nicknamed for a famous football player (in this case, a World War II era Army college player). 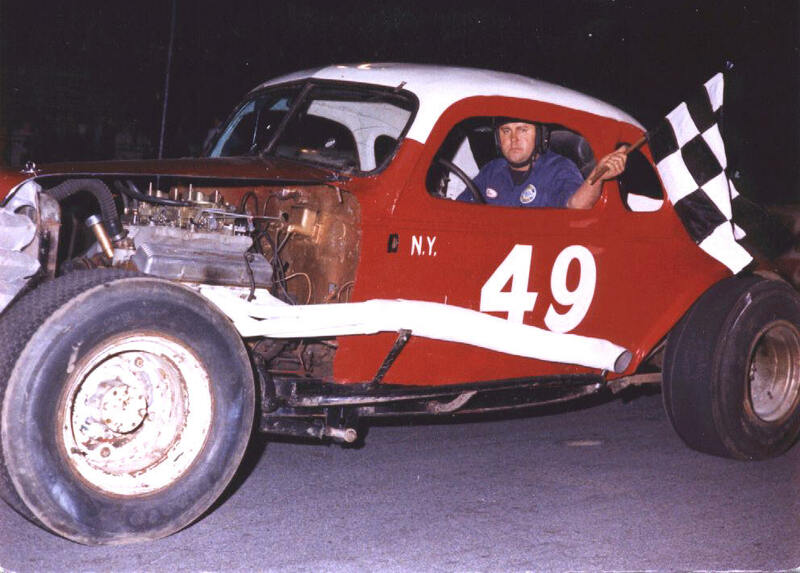 Coming from a region of New York [ the Gloversville / Johnstown area ] that was just teeming with young men who loved anything to do with racing, he naturally gravitated towards stock cars and the Fonda Speedway. 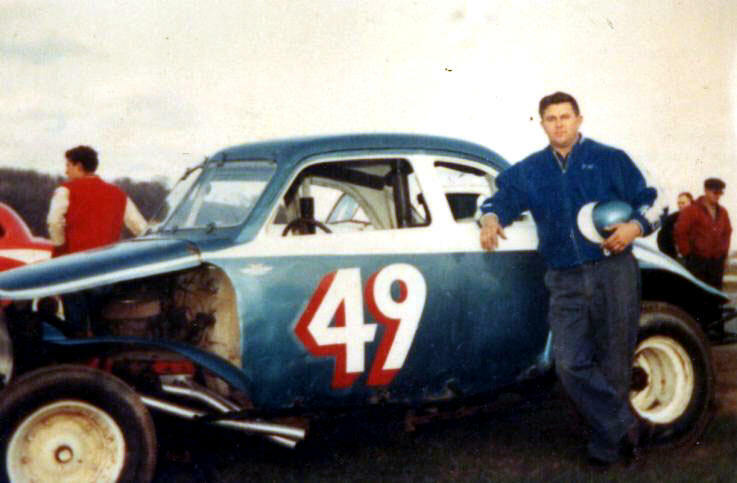 At different times, being involved with such as Herb Roots, whose son Skip would race in the 1960's - and sometimes fielding his own cars, Doc Blanchard raced his way around the sport for decades. 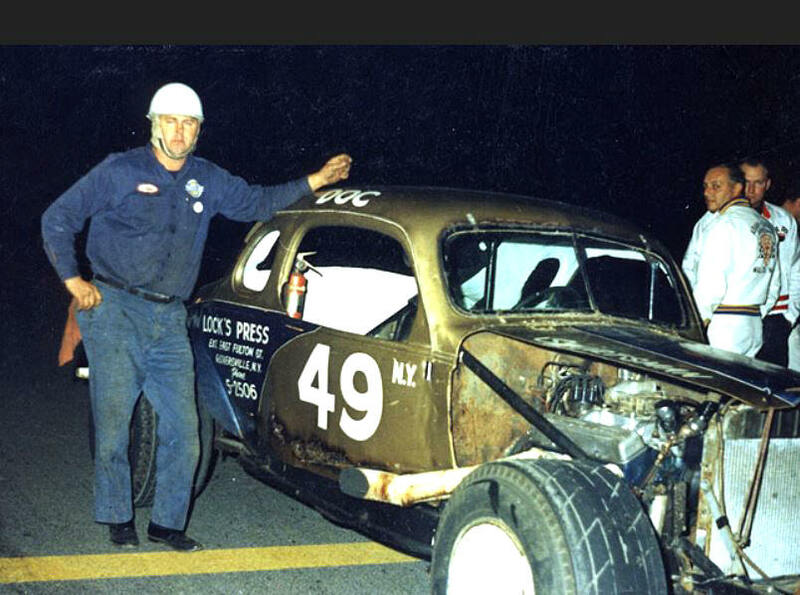 Doc was involved in the serious Jerry Jerome wreck at Fonda and wiped out the old Herb Roots car 271 [now called H2] for good in 1958. I haven't ever seen what was considered Doc's first ever car. 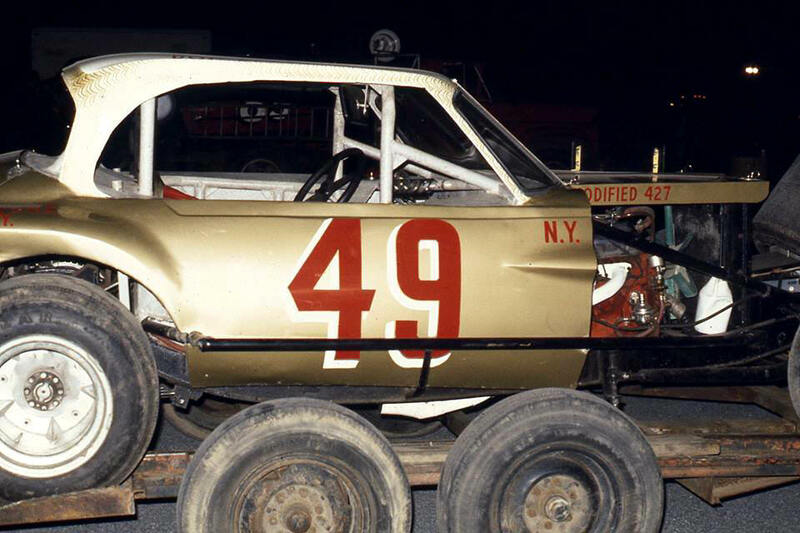 When we lost Doc in 2018, he had been a fixture at legends' nights at Fonda after having raced dirt sportsman coupes, pavement coupes, and his well - remembered pavement Valiant at places ranging from Fonda, to Victoria, to Albany - Saratoga, to Vermont's Otter Creek Speedway and many more venues. 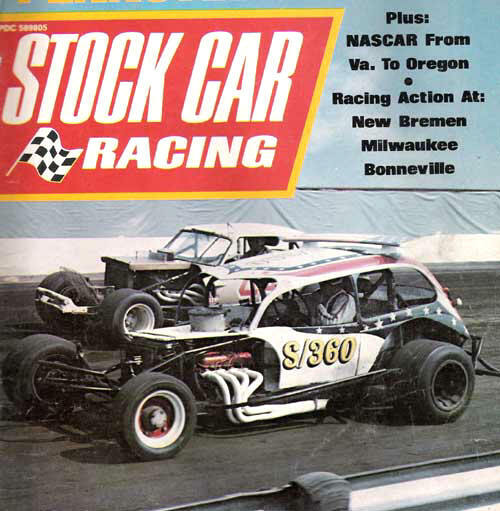 One high point was making the cover of Stock Car Racing magazine, running alongside Don Diffendorf at some big racce like Trenton, Langhorne, or the like. robin's egg blue Studebaker sportsman. 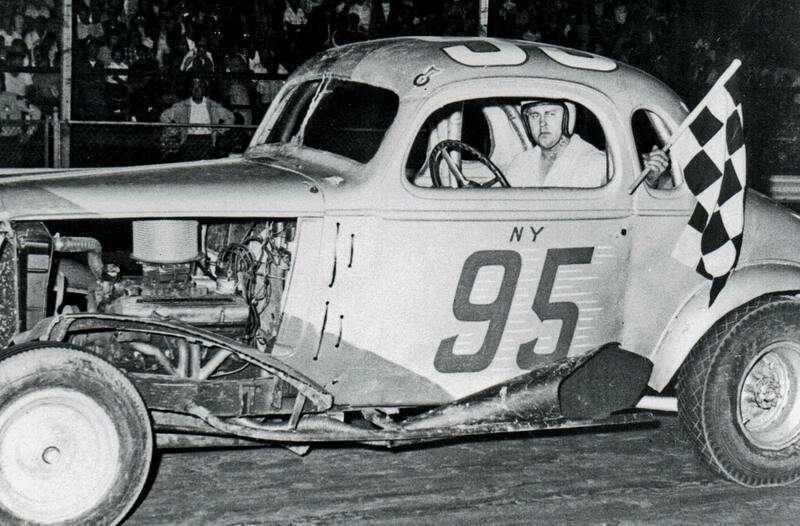 Supposedly a former Ray Vine car, this must be an early car for Doc. 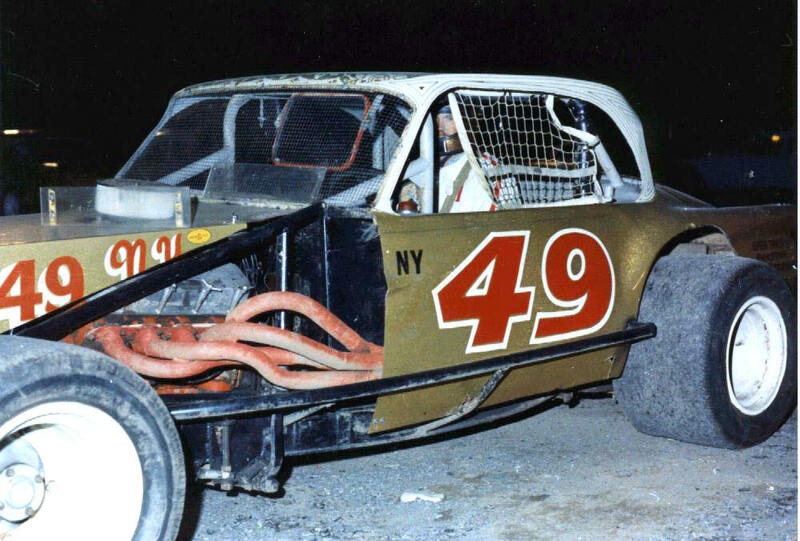 Notice the connection with other Johnstown / Gloversville racing folks with that Dostal Brothers ad. 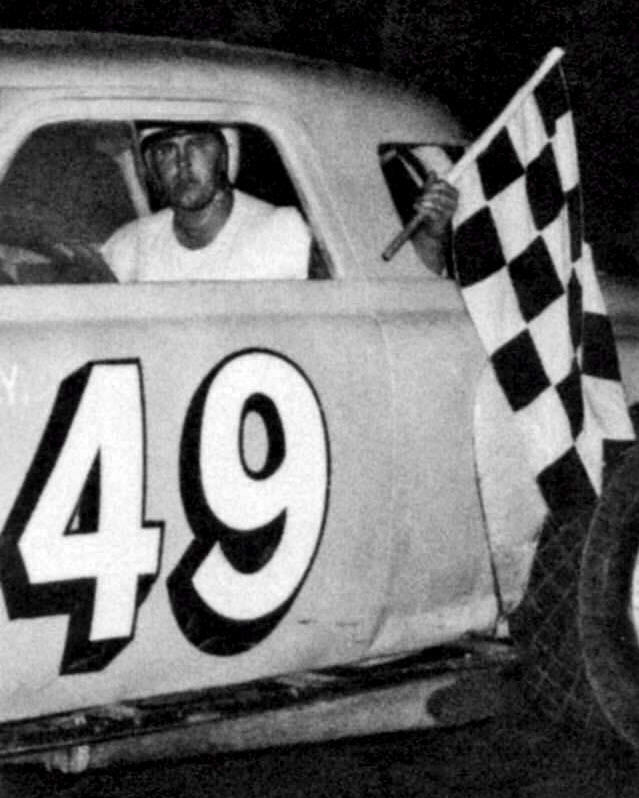 I first saw Doc running a silver #95 at Otter Creek Speedway in 1962, having seen my first NASCAR sportsman coupes there the year before. 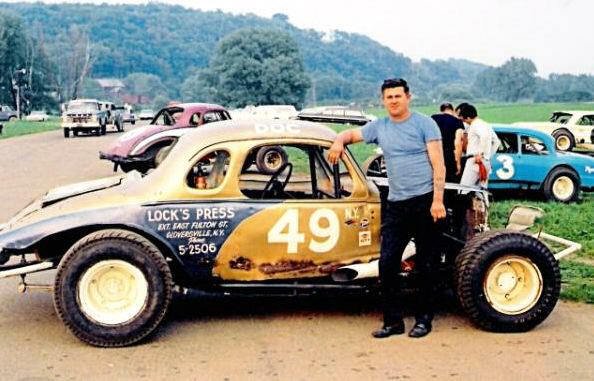 Doc was joining the likes of Ken Shoemaker ( Drellos' 111 ), Tom Kotary ( Romano's 97 ), Ed Pieniazek ( Welch's 77 ), George Baumgardner ( Vine's 75 ), Paul Marshall ( Swears' 51 ), and more at that pasture track where NASCAR national points were easy to gather. It would inspire us to get to Fonda for the first time that same season. former Trinkhaus car Doc ended up with. 49's shown in sections below. 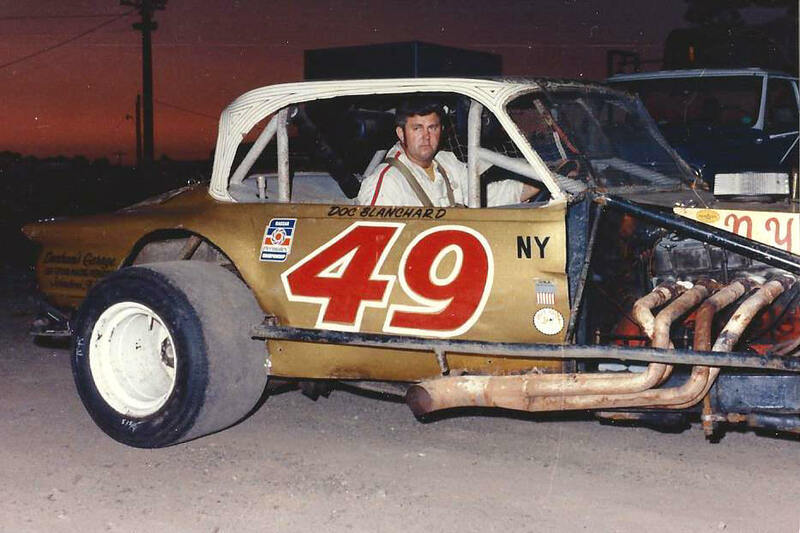 Doc Blanchard never won any track titles or anything like that, but he was a well - thought - of competitor who wasn't out there causing problems for others. He was part of that huge racing community in J'town and the Glove City that includes the Roots, Bruce Dostal, Red Knoblauch, Tony Achzet, the Starins, Ray Vine, the Romanos, and countless others. 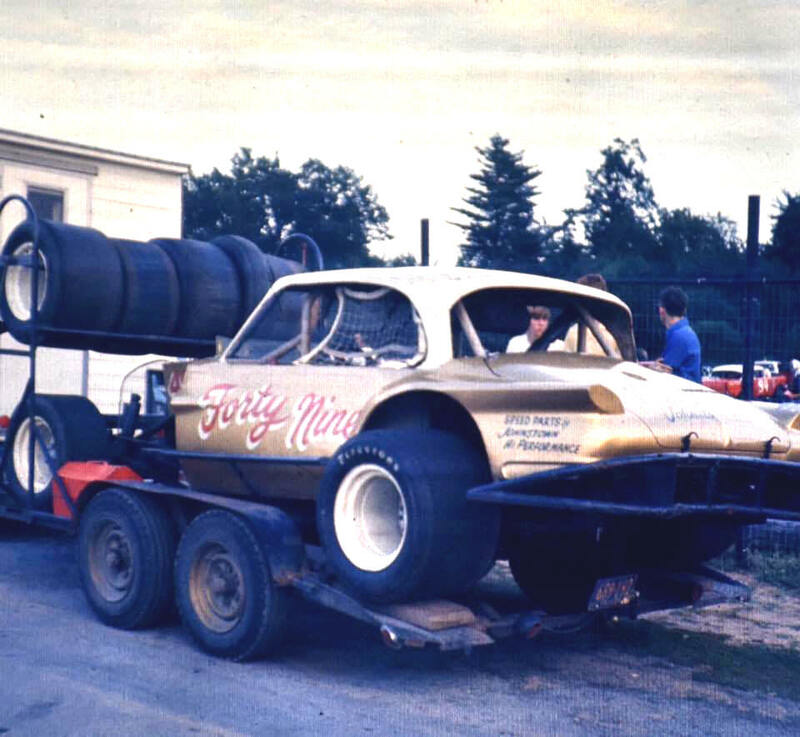 Much like the Whiting, VT group that kept Devil's Bowl in racers for decades, this core of enthusiasts were the heart and soul of earlier Fonda Speedway. And Doc was the heart and soul of racing, if there ever was one. around 1963ish. It's probably olderr than one above. Another 49, that looks like it sitting on pavement. Doc's Valiant deserves a section of its own. It's most peoples' favorite Blanchard car. 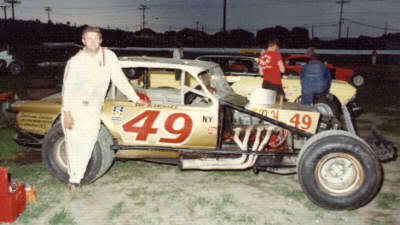 at Devil's Bowl, when the track was paved the first time. it ran against Andy Romano's Galiant Valiant there. The Valiant on the trailer. The Valiant on the trailer. A little later version, I think. A good look of Doc in the Valiant. taken by yours truly in crappy light. TA defining moment for the Valiant on the cover of SCR. A closeup in the Miller car. This coupe got a lot of photo attention. car, the former Spence Parkhurst coupe. 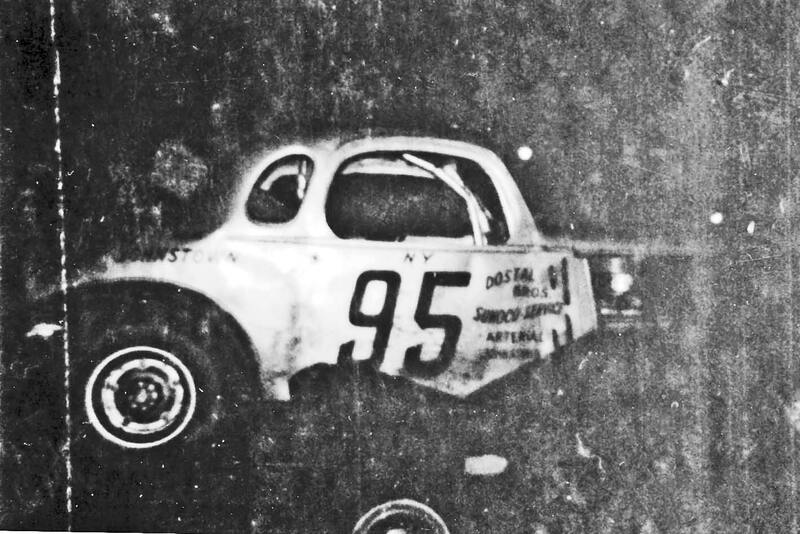 Doc is seen in the rear of this race, as the sportsman cars always started behind the hobbies at Otter Creek Speedway. 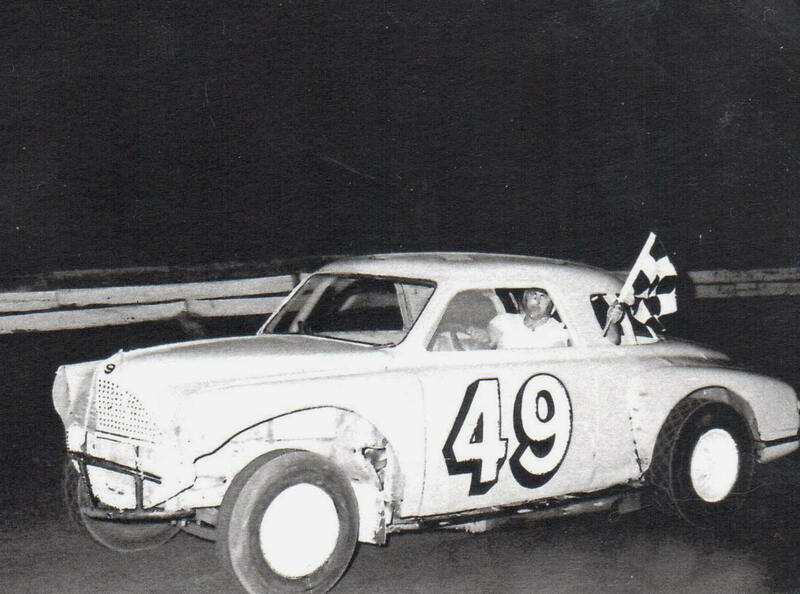 Bob Bruno [all white coupe]; Ken Meahl in Jerry Cook's 38 [outside of Bruno]; and Ken Shoemaker .